Hi to all! 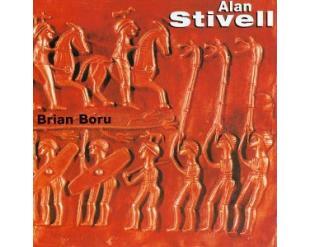 I would like to share with you this video featuring my spiritual master Alan Stivell performing one of my favourite irish tunes “Brian Boru’s March”…this time with lyrics added by him and playing a harp of his own design …this song is included in his album “Brian Bour” issued on 2005. A nice and rare version indeed…enjoy! www.alan-stivell.com (trilingual in Breton, French & English). 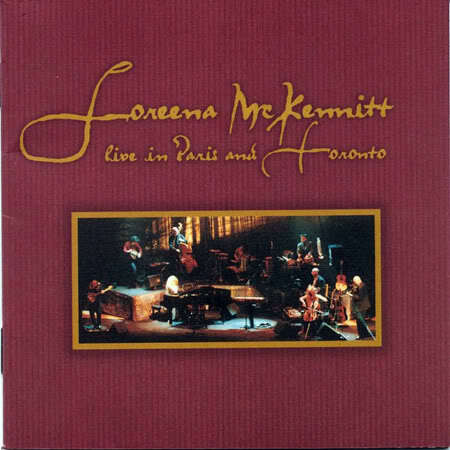 Suggested Albums: Loreena Mc Kennitt – "Live In Paris And Toronto"
Captured live in April and May of 1998 in the Salle Pleyel in Paris and Massey Hall in Toronto, this two-CD set is, says Loreena McKennitt, simply “the sound of us doing what we did.” Featuring performances of all of the songs from “The Book Of Secrets” as well as a generous selection of favourites from previous recordings, “Live In Paris And Toronto” comes in a dcluxe, custom-made, “book”-bound package. “Although I consider my studio recordings to be a more thorough portrait of where I am creatively, the sonic snapshot that is a live recording can show that picture in a different, if perhaps more conventional, way. Music playcd for an audience always has its own dynamic personality, which flows trom the chemistry of’the day, the location, and the performers’ interaction with those who were there. And, of course, live music also has its share of spontancity. Just ask anyone who attended the París concert during our spring tour last year. As we began performing All Souls Night’, I headed oft in my own direction, while the band stayed stubbornly to the agreed-upon musical arrangement, and the ensuing musical trainwreck had both us and the audience rolling in the aisles. A few weeks earlier in Rome, on our first performance of the tour, we were greeted with a power cut ten minutes into the show, thereby inserting an unscheduled intermission a little closer to the beginning of the concert than is usually considered advisable. All manner of surprises can greet you on the road, and after attempting to eliminate as many of the pitfalls as you can before setting out, you must decide to roll with them as they come. On the road, the touring company – which runs from the featured musicians through to the caterers who feed them anci the bus and truck drivers who ensure they arrive – becomes your surrogate family. I was particularly blessed, once again, with a stellar team who brought a high level of expertise to their work and great integrity to their personal conduct, which, in the end, is what allows the music to happen in the best possible circumstances. It’s not uncommon, then, that the live rendering of the music, compared to its studio version, is different, as you will hear on this recording. Sometimes, those differences are the result of practical matters, such as the number of instruments you have brought on the road, or the number of musicians you have to play them, but it’s also that, as you play a piece repeatedly, you learn more about it than you did in the studio. Some things you learn strengthen the work; other things simply change its hue. It doesn’t seem strange that a Canadian farmer’s daughter living in Morden, Manitoba, wished to be a veterinarian. The eagerness of young Loreena’s musical parallel quenched in conservatories, opera singing, and piano studies, built up a formal scheme that would burst into adulthood within the root of traditional music. This approach was the result of her attendances at a local folk center where, according to her own confessions, she was influenced by bands like Bothy Band, Planxty, Steeleye Span and Pentangle. The Celtic Harp ethereal spell of her ancestors was in charge of Breton musician Alan Stivell, whose music she used to listen to all night long on an endless tape specially built up for an uninterrupted listening. Being a Shakespearean actress in the ’80s she afterwards assumes the role of an itinerant minstrel. performing her first work “Elemental” on cassette, produced with a lawn from her parents. A work that turned out to be her version of classic traditional tunes in his own seal. Her search for Celtic roots took the grain to sell 60,000 copies since the first one up to over half a million with her album “The Visit” under distribution agreement with Warner Music. 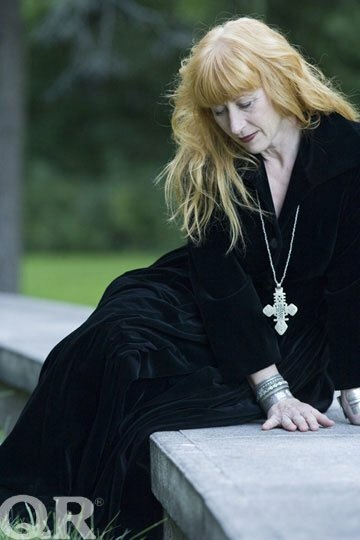 Since I follow Loreena for years now, I firmly believe she is a romantic styled composer and musician. Part of the magic lies in her apparent Elizabethan image , sometimes Welsh or Breton, not only on stage or on CD covers but in its daily walk, as well as musical dramatization of the classic poets. Sometimes I imagined her wandering through the woods or at the foot of cliffs as a captivating fairy queen, far from that redhead of Irish blood who contracts the Warner. Although Loreena acknowledges she would not like to have lived four or five centuries ago, she is highly interested on the rescue of Romanticism from lost civilizations and accomplishments of the current. Druidess which cultivates modern metaphorical power of nature and animals. Let is quote that her father, Jack McKennitt, died in 1992 one week before her daughter appeared in duo with cellist Ofra Harnoy in the Juno Awards, consecrating “The Visit” as the Best Album of Traditional Roots. But to the surprise of many, Loreena was not born in either Ireland or in Stratford, Ontario, but in the southern plains of Manitoba, in the town of Morden. Traditional Dances of Scotland were the strongest of Loreena as a child, but paradoxically a car accident on Sunday, culminating with her legs in casts. Her grandmother would send the family piano to her and Loreena start her music lessons. With five years old ,said goodbye to the dance. She used to share with them philosophy, piano and nature. By those days her parents made him join a school for girls in Winnipeg. Anxious to be a veterinarian, Loreena discovered the Winnipeg Folk Festival as a basis for her development, leaving a little chance to the University of Manitoba. When everyone was at the Disco, Winnipeg was the center of folk music by 1975, and there was Loreena. But almost in the ’80s, the folk boom declined, and her relationship with an actor would lead her to Stratford. Se could act, write music, but was still like “a singer in search of a song”, till 1982 when she decided to travel to Ireland. But why Ireland? The McKennitts came to Canada from Donegal in 1830, her mother’s branch, the Dickeys, came from Belfast. 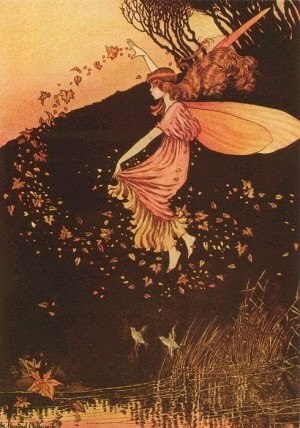 But Loreena was eager to seek the “Romantic Ireland” as the saying o f Yeats. It would take two years and a trip to England to meet the Celtic harp and learn it by herself, but the trip to Ireland would be her starting point, its magic, and endemic melancholy . Irish Born with 24 years. “Until 1985, I worked in theater in Stratford, but I realized thatin order to grow musically I needed to have my own recording. I did not know anything related to the record world, nor editing, and by chance I came across a book “How to Make and Sell Your Own Recording” (The Complete Guide to Independent Recording) by Diane S. Rapaport which became my Bible. I borrowed ten thousand dollars to my family, a lot of money for them, and I embarked on my own. ” Lately, due to it’s success the book was published with Loreena’s own foreword. Loreena McKennitt and her band wrapped up their summer tour on the Calgary Folk Music Festival mainstage. 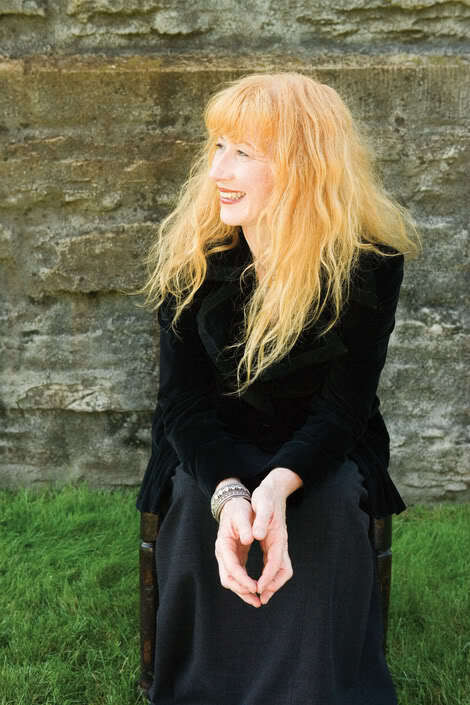 Loreena McKennitt has been exploring the whole world of Celtic music for over 2 decades. It’s a musical journey which has led her from the Silk Road to the Arthurian legends. Her international band also brings exotic flavours to the mix – from the oud and the hurdy gurdy to the harp and the cello. Loreena’s latest CD is a limited edition two-disc set called A Mediterrean Odyssey. ‘My grandfather, William Nelson, was coming home from the herring fishing late at night, on the road near Jurby, when he saw in a pea-field, across a hedge, a great crowd of little fellows in red coats dancing and making music. And as he looked, an old woman from among them came up to him and spat in his eyes, saying: “You’ll never see us again”; and I am told that he was blind afterwards till the day of his death. 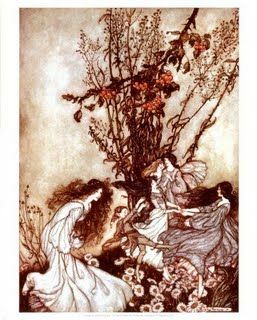 He was certainly blind for fourteen years before his death, for I often had to lead him around; but, of course, I am unable to say of my own knowledge that he became blind immediately after his strange experience, or if not until later in life; but as a young man he certainly had good sight, and it was believed that the fairies destroyed it. William Cain, of Glen Helen (formerly Rhenass), was going home in the evening across the mountains near Brook’s Park, when he heard music down below in a glen, and saw there a great glass house like a palace, all lit up. He stopped to listen, and when he had the new tune he went home to practise it on his fiddle; and recently he played the same fairy tune at Miss Sophia Morrison‘s Manx entertainment in Peel. One evening late in November, which is the month when spirits have most power over all things, as the prettiest girl in all the island was going to the well for water, her foot slipped and she fell, it was an unlucky omen, and when she got up and looked round it seemed to her as if she were in a strange place, and all around her was changed as if by enchantment. But at some distance she saw a great crowd gathered round a blazing fire, and she was drawn slowly on towards them, till at last she stood in the very midst of the people; but they kept silence, looking fixedly at her; and she was afraid, and tried to turn and leave them, but she could not. Then a beautiful youth, like a prince, with a red sash, and a golden band on his long yellow hair, came up and asked her to dance. “It is a foolish thing of you, sir, to ask me to dance,” she said, “when there is no music.” Then he lifted his hand and made a sign to the people, and instantly the sweetest music sounded near her and around her, and the young man took her hand, and they danced and danced till the moon and the stars went down, but she seemed like one floating on the air, and she forgot everything in the world except the dancing, and the sweet low music, and her beautiful partner. At last the dancing ceased, and her partner thanked her, and invited her to supper with the company. Then she saw an opening in the ground, and a flight of steps, and the young man, who seemed to be the king amongst them all, led her down, followed by the whole company. At the end of the stairs they came upon a large hall, all bright and beautiful with gold and silver and lights; and the table was covered with everything good to eat, and wine was poured out in golden cups for them to drink. When she sat down they all pressed her to eat the food and to drink the wine; and as she was weary after the dancing, she took the golden cup the prince handed to her, and raised it to her lips to drink. Just then, a man passed close to her, and whispered– “Eat no food, and drink no wine, or you will never reach your home again.” So she laid down the cup, and refused to drink. On this they were angry, and a great noise arose, and a fierce, dark man stood up, and said– “Whoever comes to us must drink with us.” And he seized her arm, and held the wine to her lips, so that she almost died of fright. But at that moment a red-haired man came up, and he took her by the hand and led her out. “You are safe for this time,” he said. “Take this herb, and hold it in your hand till you reach home, and no one can harm you.” And he gave her a branch of a plant called the Athair-Luss (the ground ivy) [*] . This she took, and fled away along the sward in the dark night; but all the time she heard footsteps behind her in pursuit. At last she reached home and barred the door, and went to bed, when a great clamour arose outside, and voices were heard crying to her– “The power we had over you is gone through the magic of the herb; but wait–when you dance again to the music on the hill, you will stay with us for evermore, and none shall hinder.” However, she kept the magic branch safely, and the fairies never troubled her more; but it was long and long before the sound of the fairy music left her ears which she had danced to that November night on the hillside with her fairy lover. [*] In Ancient Egypt the ivy was sacred to Osiris, and a safeguard against evil.